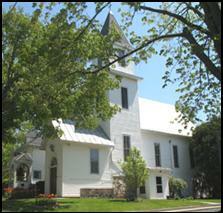 The First Presbyterian Church of Dimondale Michigan welcomes you to our website. We are dedicated to sharing the love of Christ through worship, music, mission work and fellowship. An invitation is open to any and all to join us in Christian ministry. Sunday Morning Worship are held at 10:00 a.m., followed by Fellowship at 11:00 a.m. We provide Christian Education sessions, times vary by age group. See our Visitor Information page for driving directions and parking information. First Presbyterian Church is regularly reaching out with Community Connections...see specific events on left side of this page. We want to provide a place and space for community members to gather and get to know others. Please call the office if you are interested or have questions.